Get a great Assassin’s Creed Origins Black Friday deal. Black Friday is a gamer’s dream. It’s about the only time of the year that you can find recently released video games at huge discounts. This year, an Assassin’s Creed Origins Black Friday deal is one the games that caught our attention, and you don’t want to miss out on it regardless of whether you’re shopping for yourself or someone else. You can get an Assassin’s Creed Origins Black Friday deal to the tune of about 50 percent off. That is the same regardless of whether you buy PS4 or Xbox One. The deal exists for those buying from both Amazon and Walmart, but the game is listed at full price for Gamestop, so you’ll want to skip that retailer. Update: The PS4 deals seem to be expiring and returning to normal pricing. Should you bite on the Assassin’s Creed Origins Black Friday deal? You probably should. 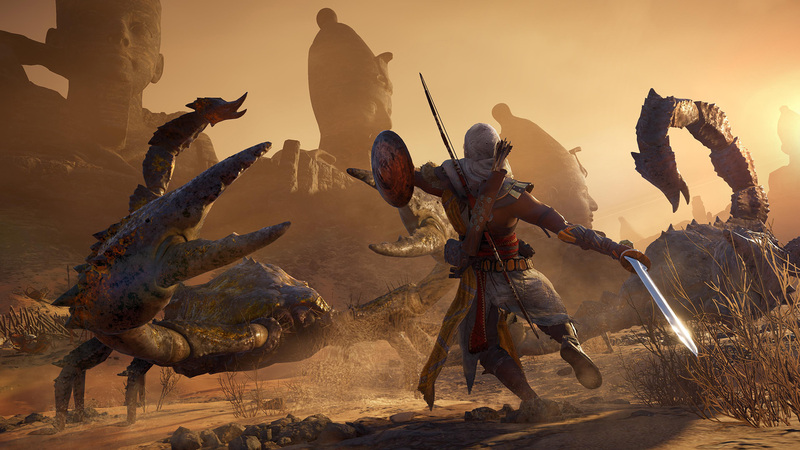 Shacknews gave the game an 8 out of 10 in our Assassin’s Creed Origins review, which is higher than a lot of other big games scored this year. It’s been remarkably well received and should provide you or whoever you’re buying it for with many hours of entertainment. Unfortunately, the game doesn’t appear to be getting any major discounts on Steam. There’s a small one, but nothing that compares to what you’re seeing on PS4 and Xbox One. There are also some deals on uPlay but, again, nothing close to what Amazon and Walmart are offering for consoles. For more help with your shopping beyond this amazing Assassin’s Creed Origins Black Friday deal, be sure to visit the Shacknews Black Friday and Cyber Monday hub.